Are you ready for a blast from the past? Well, a long-gone remnant from the Mushroom Kingdom is coming whether you want it or not. 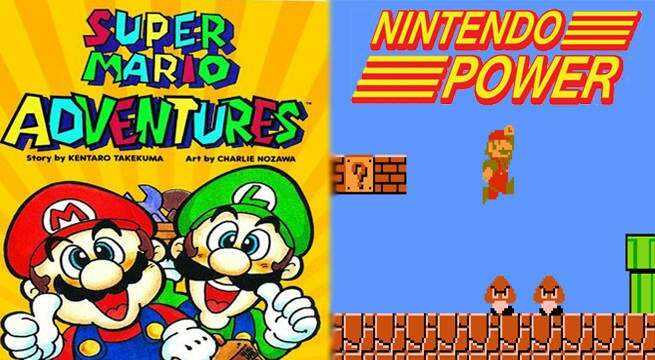 Both Mario and Luigi will be returning to comic enthusiasts everywhere as the duo’s Super Mario Adventures is officially getting a much-needed reprint and graphic novel release. According to various retailers, a brand-new compilation of the old series will be collected in an upcoming graphic novel. Sites such as Things From Another World and Diamond Comic Distributors list the item at $14.99 and have indicated the book will be released on October 12th 2016. Viz Communications has since confirmed the book will be published by ANN, but of course, fans will remember that the comics were first rolled out in the Nintendo Power magazine. Debuting in January 1992, the popular comic was created by writer Kentaro Takekuma and artist Charlie Nozawa. During its original publication, Super Mario Adventures was run alongside another popular, eponymous series based on The Legend of Zelda: A Link to the Past. Mario's shenanigans were ultimately followed by a Mario vs. Wario comic following Super Mario Adventures' end, but the less popular sequel has yet to be reprinted.